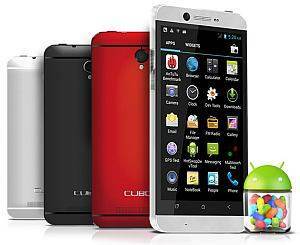 Today I am going share the process of rooting CUBOT ONE. I have used the process to root CUBOT GT99 and it’s work fine. 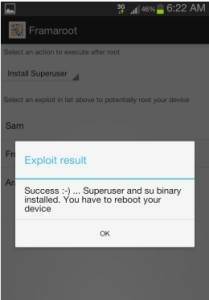 It’s the easiest way to rooting an android device. Don’t need any computer and data cable or any kind of windows application. When it comes to rooting an Android mobile phone or tablet, Framaroot – the best Android rooting app without PC, is usually my first choice. 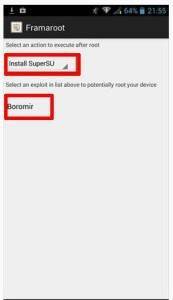 Because this free app can root any Android devices just by one tap quickly and safely. Disclaimer: rooting void your device manufacturer warranty. Download the Framaroot application from above hereframaroot.apk. Copy it to your sdcard & Install on your smartphone. Open the framaroot application after installing. Choose the “SuperSU” from the dropdown menu. That’s it! You just learn how to root CUBOT ONE. And, that’s too without using any computer. You can fill the comment form below to ask additional help from community. I’ve rooted my cubot one yesterday and everything worked exactly as you described above. Except: It does’nt work. I can’t replace any apps (the ones that are standard on my phone) to my sd card and the phone keeps telling me that the internal memory is full. What to do now? It won’t even start my email anymore. Can anyone help me? I can place the apps I download to my sd card but not the ones on my internal memory. It keeps telling me that my internal memory is full. I’ve deleted all my apps, i’ve cleaned my cache with ccleaner but my memory stays full.